Don't miss a thing. Sign up for our mailing list! Doors at 7, show at 7:30. Only 50 tickets will be sold. Jim, Jeff and Ben went to Sean Flora's Sauvie Island recording studio for two days with the goal of recording a handful of secular Holiday songs. The result is a spontaneous, energetic reading of some seasonal favorites, some seldom heard classics, and one original featured chestnut. The perfect gift to turn someone on to your favorite band. "One Night Live" offers a splendid set of seventeen songs, and, with the addition of Ben Landsverk, I call that a full feast… It covers all of it: beautiful fingerpicking, matched harmonies, natter within the body of the song that leaves the audience cackling… exquisite touches of early Paul Simon in the guitar work, and lyrics and vocals to match. The addition of Landsverk to the mix was a brilliant idea. 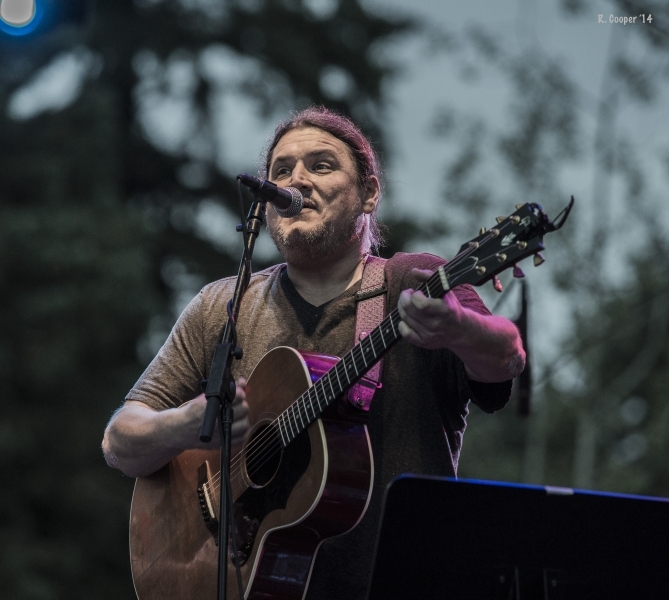 A multi-instrumentalist with an international pedigree, he adds an entirely new layer of both depth and sweetness to a matched pair of vocal harmonies that were already warm and listener-friendly. He also expands the instrumental palette of possibilities to an incredibly wide range. 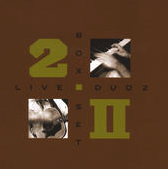 Listening to "One Night Live", it becomes clear that taking Box Set from duo to trio looks to be one of the smartest moves they could have made. We released our first CD in 1993. Take a listen to the past. Jim Brunberg and Jeff Pehrson met in a San Francisco cafe 23 years ago and almost immediately fell into a musical relationship. That connection has been responsible for 12 albums of original music, thousands upon thousands of miles on the road, a handful of awards, several ill-fated record deals and two houses built of broken B strings. The Box Set Duo has been entertaining audiences these many years with their powerful songs, brought to life by inspired guitar interplay and vocal harmonies that warm the senses. The subject matter, as with the finest folk music, ranges from politics to relationships and everything in between, all delivered with a heart and wit that has brought rave reviews. Amy Ray of the Indigo Girls once described them as “a cross between the Grateful Dead and The Smothers Brothers.” Though Jim and Jeff have both been busy pursuing other endeavors the last few years, (Jim owns and operates his own music venue, Mississippi Studios in Portland, Oregon and Jeff is a member of Bob Weir and Phil Lesh’s band, Furthur), Box Set Duo will engage your hearts, burst your sides and leave you with a song on your mind. Email us pictures any time. NEWS LINK IS COMING SOON! What's in a name? 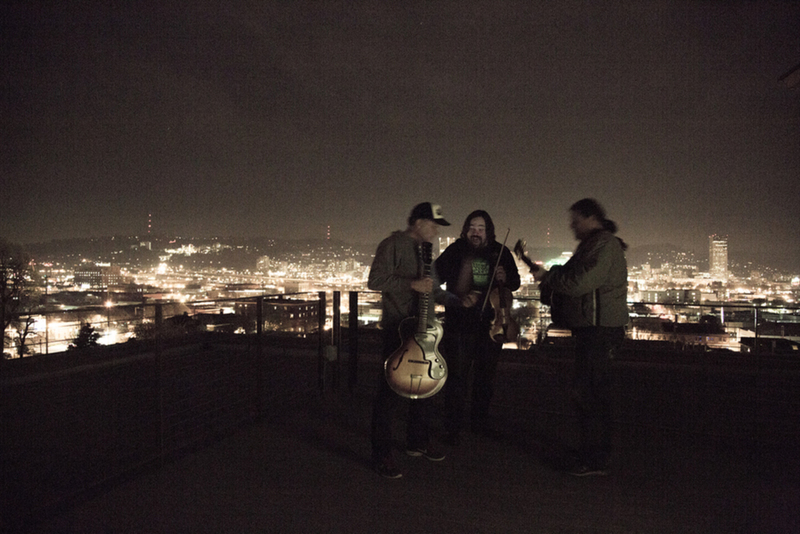 The folk/comedy duo of Jim Brunberg and Jeff Pehrson have played together for years as Box Set Duo, but after a hiatus and a reunion, they've added multi-instrumentalist Ben Landsverk, upping their ranks to a trio. 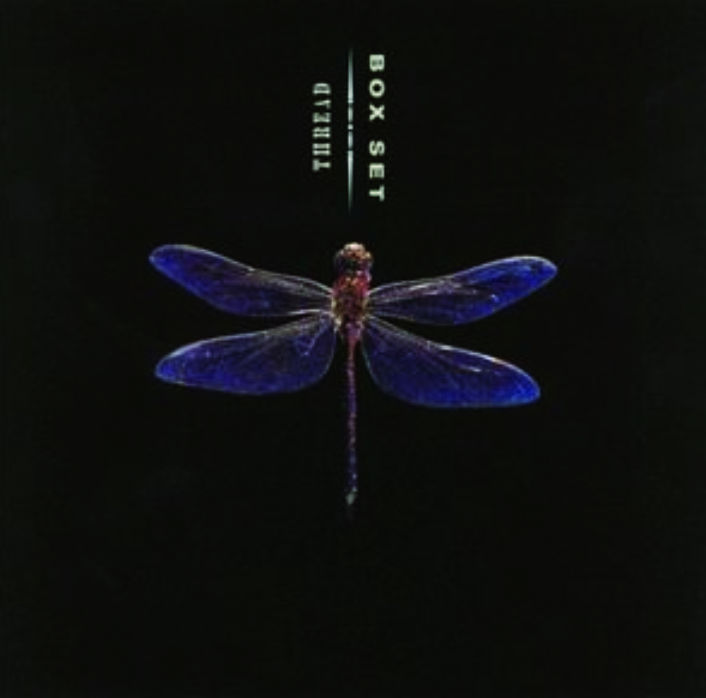 I first got to see Box Set live a couple of years ago, and I was properly wowed. 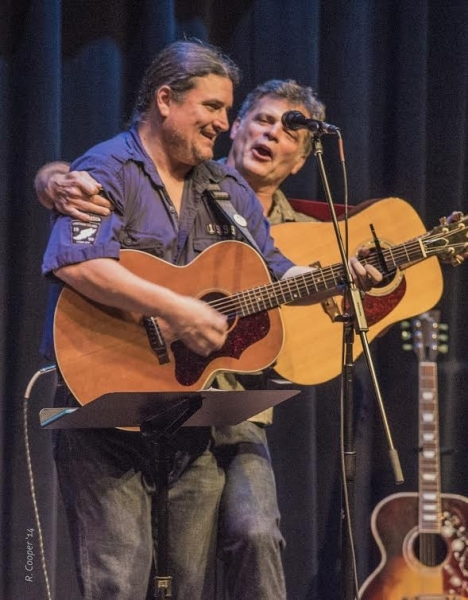 The acoustic duo of Jeff Pehrson and Jim Brunberg presented a tasty mix of harmonies, the songs (all of them, which is rare) caught and held my attention, and the onstage banter was lighthearted and funny. I've been waiting for a new album from these two for awhile now. I finally got one, in the brand new 17-song CD, "One Night Live". It was recorded at one of NorCal's local venues, the storied Freight & Salvage in Berkeley, a place with possibly the best acoustics of any room within fifty miles in any direction. And the band, on this one at least, is called the Box Set Duo Trio. Headscratching ensued, at least until I hit the first track, a nifty thing called "If Dreams". Halfway through my second listen, I was nodding furiously: yes this needs to be a trio because holy WHOA those harmonies. JIM BRUNBERG and Jeff Pehrson - guitarists-singers-composers - were performing out in the Sunset District about five years ago when they joined forces and took the name Box Set. They've been on an ascending spiral of success ever since, playing the West Coast and western Europe. Along the way, Box Set has issued two self-distributed cassettes (still available) and last year their first CD appeared on the Box Set label. The duo expanded into a quartet along the way with the addition of Mark Abbott, drums, and Chad Heise, bass, and in 1994 became a quintet when Hammond organist Sam Johnston joined up. Playing at a packed-to-the-walls Sweetwater Thursday (they're at Last Day Saloon Saturday) Box Set turned out a remarkably compelling, hard-driving performance. Every number (all originals) features marvelous guitar work and vocals by Brunberg, a baritone, and tenor Pehrson, with rich chording and occasional solo riffs from the organ and steady, swinging drums and bass rhythms backing them up. Box Set is the most attractive, artistic and fascinating of recent new bands. Pehrson sticks to acoustic guitar, Brunberg occasionally shifts to an electric; he sometimes plays harmonica and trumpet. Their lyrics and vocal harmonies are unbelievably imaginative and attractive - and musical. Although once compared to the David Crosby-Graham Nash vocal team, Brunberg and Pehrson are incomparably more talented and appealing; if comparisons are helpful, think of a strong-voiced Simon and Garfunkel mix - and occasional suggestions of Simon's song-structuring. There is a competence and intensity about Box Set that floods the ears and boggles the mind. These guys are good, and they know it. 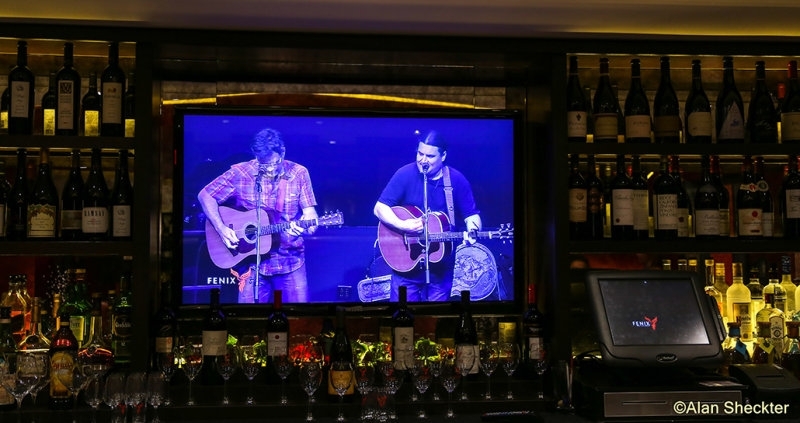 They love what they're doing and know that theirs is a mesmerizing presentation - for song freaks, instrumental fans; listeners and dancers; rock, pop, jazz, folk, even some brushes with the blues. Composer credits are evenly balanced, with Brunberg singing lead on his songs, Pehrson taking the lead on his. There are songs of love and longing, of growing and aging - and tough, intelligent political and social commentary as well as some good humor. From the chorus of Pehrson's "A Little Colder" - "I'm not crazy 'bout the world / I'm not crazy 'bout myself / I run around an open book / Making time with someone else . . ." or, from his "HBWA" - "She'll be the lyric in my song / A touch of soul to keep me turning on / The pinnacle of all I'll hold as true / I might just be a dreamer, but I'll fall in love with you." Or, from Brunberg's "General Schwartzkopf," the last chorus - "He will always cover up / With pride and humility / Sometimes it costs a bundle / But he'll send the bill to you and me." And, from Brunberg's "Poets" - "There's a hunger for madness and a hunger for youth / A hunger for tears and a hunger for truth / But the hunger for pain like a drug takes its toll / Because pain fuels the fire of the unnourished soul. Just how dark does it have to be." The repeated lines in "Judi's Baby" reveal the dedication of Box Set - "Singing, I can, I can, change the world." 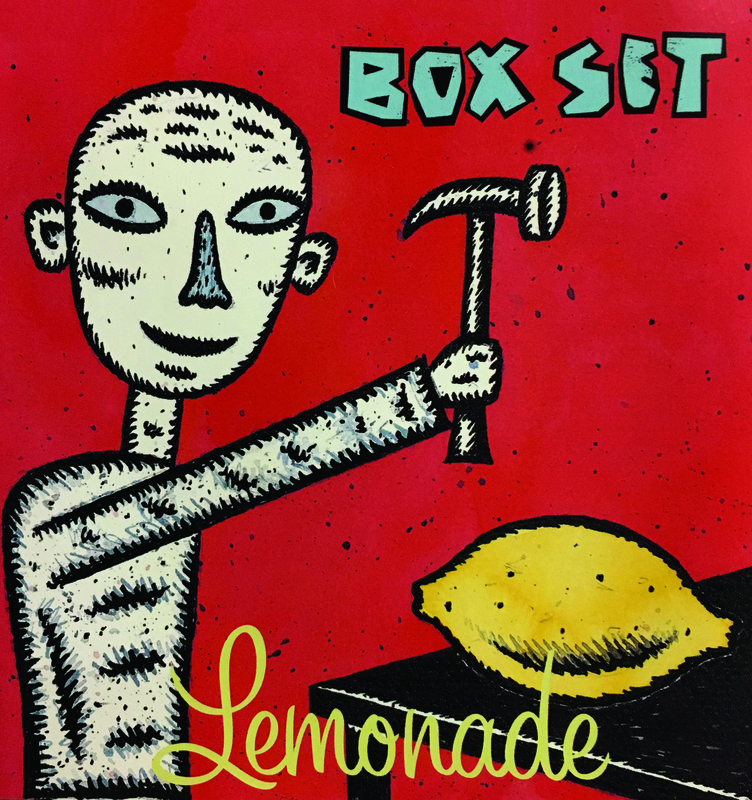 Box Set has an inherently commercial sound, with breezy harmonies, facile musicianship and resounding hooks highlighting songs like Pehrson's "Back to You" and "Falling." Brunberg's more pensive, quirky songs balance Pehrson's brighter sound, though rarely has a song about existential angst sounded as upbeat as Brunberg's glorious "Eighteen Days of Rain." All in all, "Thread" is an impressive effort that ought to appeal to fans of groups like Canada's Blue Rodeo and Chicago's Freddy Jones Band. 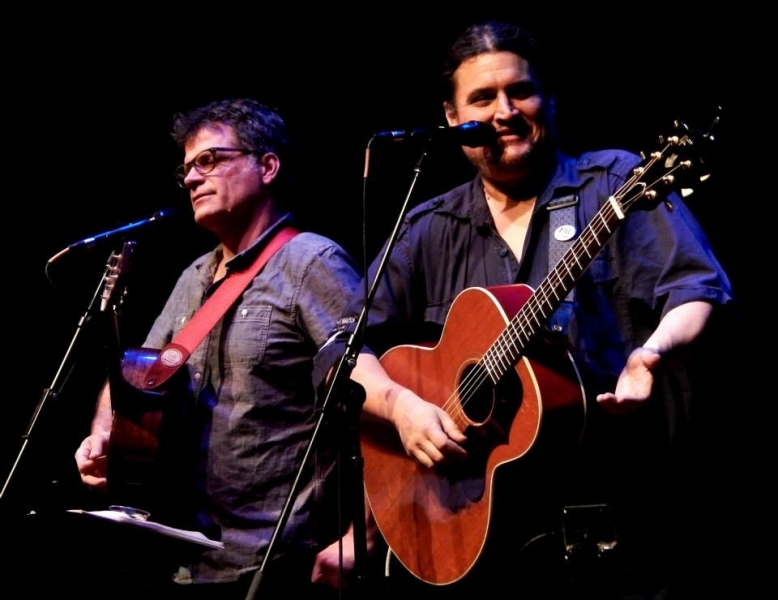 The Box Set Duo has been entertaining audiences these many years with their powerful songs, brought to life by inspired guitar interplay and vocal harmonies that warm the senses. The subject matter, as with the finest folk music, ranges from politics, relationships and everything in between, all delivered with a heart and wit that has brought rave reviews. Amy Ray of the Indigo Girls once described them as "a cross between the Grateful Dead and The Smothers Brothers". Jim and Jeff have both been busy pursuing other endeavors the last few years, (Jim co- owns and operates Mississippi Studios & Revolution Hall in Portland, Oregon, and Jeff is a member of Bob Weir and Phil Lesh's band, Furthur) so the shows they perform each year have become very special occasions. Now with the addition of multi-instrumentalist Ben Landsverk another layer has been added. A longtime Bay Area favorite, the Box Set Band will engage your heart, bust your sides and leave you with a song on your mind.